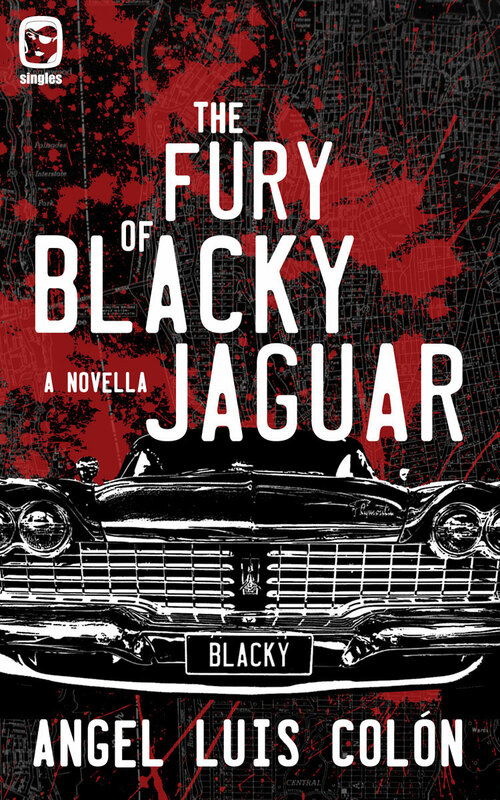 Review: The Fury of Blacky Jaguar, by Angel Luis Colon. Most purveyors of noir fiction have probably heard of Angel Luis Colon, and most would probably say they've really enjoyed the wide array of short stories he's published in almost every well-known noir short story collection, noir webzine, or noir website around. His stories are tight, well-written pieces of literature that both entertain and leave readers begging for him to tackle a longer piece of fiction. Well that time has come, as he's penned a novella entitled, The Fury of Blacky Jaguar, published by One Eye Press. The only question was, would his talent be able to transcend the short story and stay intact as he tackles a longer story? No suspense here . . . of course he knocked it out of the ballpark! This is one hell of a blast to read. This novella is violent, like a punch to the gut, and will leave you gasping for air. This is everything that is right with the seemingly new push to publish novellas. Colon wastes not a word and delivers a story that has no filler, just action packed scenes with witty dialogue. Every page, paragraph, and word is stripped down to only include parts that are vital to the story and that pays dividends, as the reader never has a chance to pause to catch their breath. 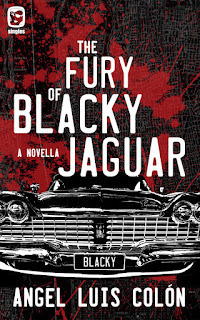 This pulpy little tale centers on Daniel Clarks—who nicknames himself Blacky Jaguar—as his prize possession, a Plymouth Fury is stolen. There's no way in hell Blacky will sit by silently and take this slight without extracting full and violent revenge. Blacky, an ex-IRA hardman, goes into full bone breaking, murderous mode to find answers to where he can find his car and who needs to pay for taking what’s his. We follow him through the boroughs on New York as he leaves a trail of bloody carnage in his wake. Hot on his tail is Special Agent Iris Delgado of the FBI. She has been searching for Blacky for over two years without finding a trace of him. Now she has him in her sights again, she is determined to get her man. Her quest is complicated by some unfinished business from a shared past. She's well aware of the destruction Blacky is capable of, and knows time is not on her side to bring him to justice. There's no doubt in my mind that Colon has a great character in Blacky Jaguar and I am confident I will not be the only one who will beg him for another Blacky Jaguar book. Blacky is everything a noir character should be and Angel Luis Colon is everything a noir author should be. I look forward to his next novella and his first novel, which should both be forthcoming in the near future.